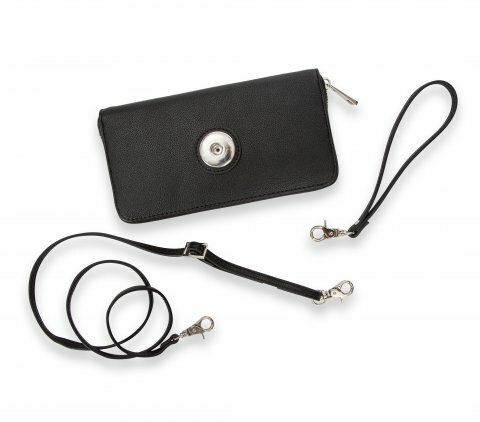 Wallet comes with cross-body and wrist straps. It features 5 sections, one zipper pocket, and 8 credit card slots. Holds one Statement Dot. Love this wallet with all of the card slots. You can never have too many many card slots, credit cards, insurance cards, reward cards, etc. All of the divisions in the wallet make it easy to stay organized.